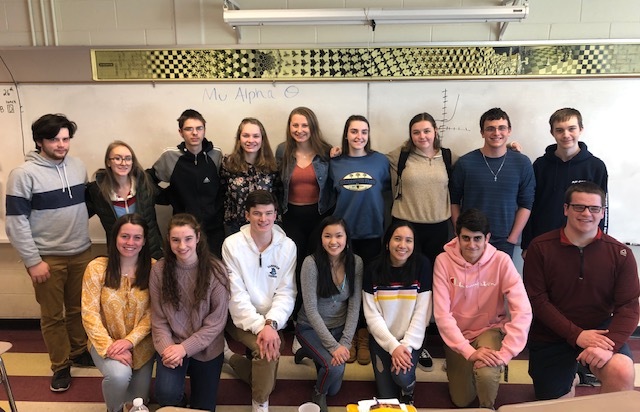 Mu Alpha Theta is a National Mathematics Honor Society whose purpose is to promote scholarship in and enjoyment of mathematics among high school students. Academically eligible students who have completed one year of geometry, two years of algebra, and are enrolled in a higher mathematics course are encouraged to apply for membership. As members of the society, students attend biweekly meetings, maintain an unweighted GPA of 3.5 in all math classes, explore and share interesting topics within mathematics, participate in math competitions and fulfill community service hours by tutoring students in mathematics. Seniors are also eligible to apply for National scholarships and will be decorated with honor cords at graduation. 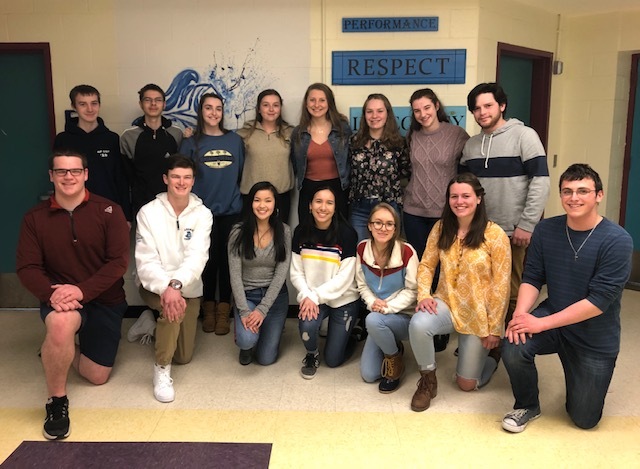 When I saw Mashpee High School celebrating their inductees into Mu Alpha Theta on Twitter last spring, I was intrigued to learn more about the organization. At Providence College, I was a member of Pi Mu Epsilon, the National collegiate Mathematics Honor Society, but I was unaware of a high school math honor society. I contacted the Mashpee MAT adviser, wrote a proposal for Mr. Mulcahy to approve, and applied to the National organization in the fall. My goal in forming a chapter of Mu Alpha Theta at Sandwich High School is not only to commend student excellence and support an understanding of mathematical concepts, but also to guide students in stimulating peers’ interests in the relevance and beauty of the subject matter. So far, our chapter is off to a great start. As adviser of MAT, I believe it is important for the activities and ideas of the chapter to be student driven. In order to fulfill their tutoring hours, MAT members have organized after school tutoring sessions in mathematics for all students, grades 7-12. These sessions will be offered on Monday, Wednesday and Thursday afternoons in my classroom. They began on Monday, February 1.